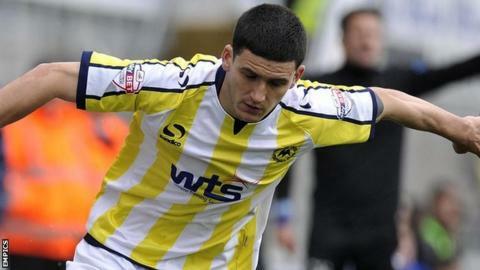 Anthony O'Connor says he wants to extend his loan deal at Plymouth Argyle when it runs out in January. "When my loan comes up I'm sure we'll have a chat about it and I'm more than happy to stay here," said O'Connor. "I've still got another month to go before my loan is up and I've had a couple of words with the manager and we've spoken about it." O'Connor has yet to make an appearance for his parent club Blackburn Rovers, having had loan spells at Burton Albion and Torquay United in the previous two seasons. "I don't want to go back to Blackburn and sit on the bench a couple of times and play under-21's football," he told BBC Radio Devon. "It's not for me now any more, the most important thing for me is to play every week and I'm getting the chance to do that at Plymouth."